Alajuela. 24 recognized Medical Device Companies generated to the country, $ 1.430 million in exports during 2017. This is equivalent to 28% of the exports of the entire Free Zone Regime. These companies contributed with ¢ 294 billion of added value to the national economy (0.9% of GDP) and 8 of them are part of the Top 30 Medical Device Companies in the world. 24 companies established their operation headquarters at Coyol Free Zone in Alajuela, selected by the international magazine Site Selection as one of two Top Free Zones of Latin America and The Caribbean. 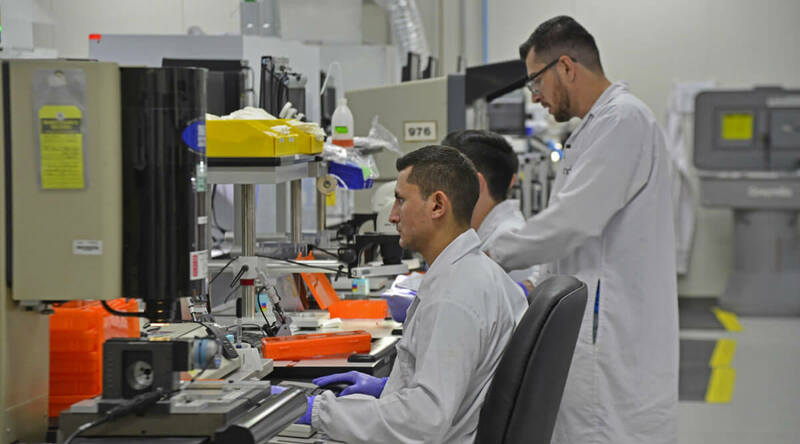 According to data from the Costa Rican Coalition of Development Initiatives, the Life Sciences sector represented 27% of the country’s exports of assets with $ 2,847 million in total, 6 of them located in Coyol Free Zone including Abbott Vascular, MicroVention and Medtronic. Together, these companiesd manufacture daily thousands of medical devices for different health requirements such as heart valves, catheters, gastric probes, surgical instruments, devices for enteral feeding, knee implants, breast implants, among many others. The 24 companies located in the international business park, today employ more than 12.000 people. Their workforce is nourished by trained, competitive and committed human talent through the program “Intégrate a Coyol” and others programs designed to support the companies´ Human Resources Departments. In this way, it benefits the communities of influence, since CFZ increases the candidates´ level of employability and brings them closer to new employment opportunities. Coyol Free Zone promotes education in the community´s schools and high schools, and has donated more than ¢ 49,000,000 for the construction of infrastructure, technological equipment, improvement of security, lighting and river systems. In addition, CFZ suppliers have given a contribution close to ¢ 3,000,000 to support these construction processes. Some of the benefited schools have been “Jesús Ocaña School” and “Liceo Pacto del Jocote” both in El Coyol, “Miguel Carballo School” in Naranjo and “Santa Rosa School” in Poás, Alajuela. Coyol Free Zone is a specialized park with an investment of over $ 400 million, which allows them to have a first-class infrastructure and LEED certified buildings. The park allocates 12% of its 107 hectares, for preserved and green areas, which allows protecting the local biological corridor. Thanks to a reforestation plan, more than 1200 native species have been planted and this year a process of restoration and protection of 15 trees that exceed between 300 and 500 years, began.Recently, CFZ has dabbled in the use of solar panels and LED lighting, in addition, CFZ received the national Ecological Blue Flag for the efforts in favor of the environment and to promote them throughout its value chain.